It is that time of year where I start working on our Halloween costumes and Christmas gifts. 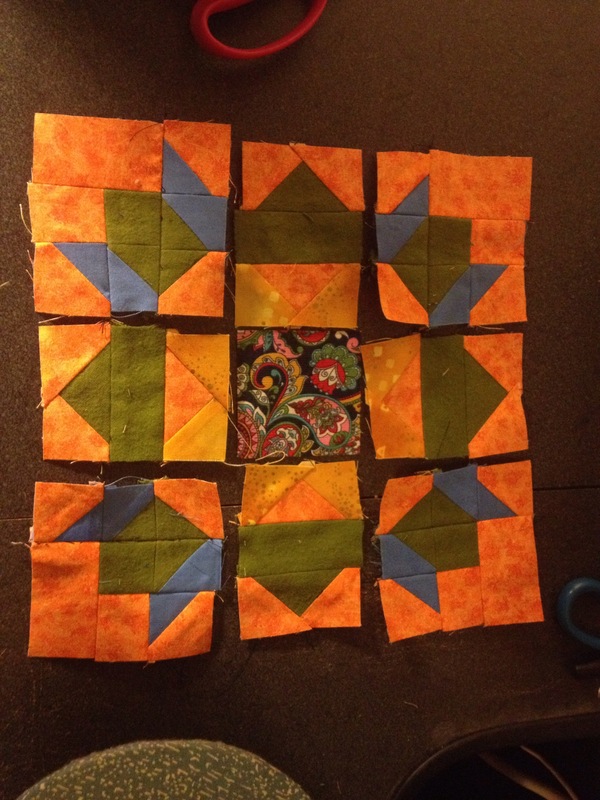 So the sampler quilt will be on the back burner until after Christmas. Now, I do plan on working on it, but it may just be one a week. 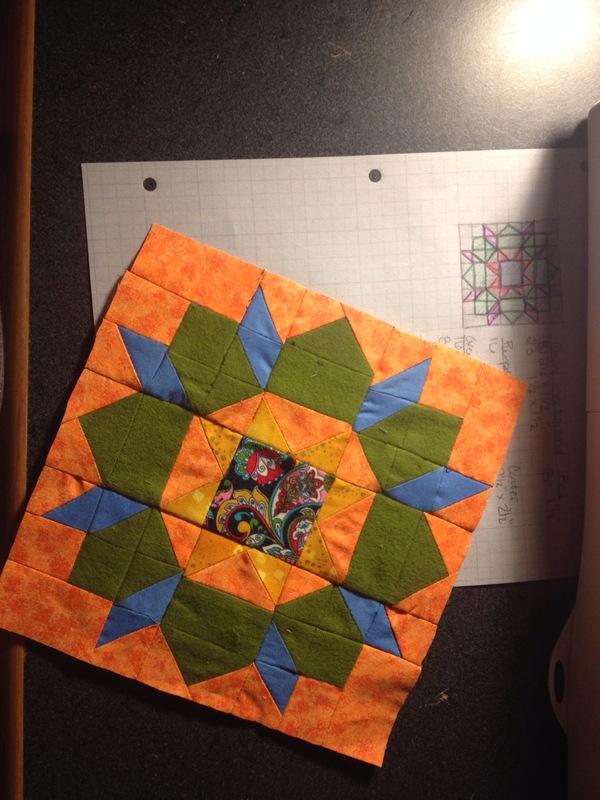 This week I made the Swoon quilt block in 8″. I suggest assembling this like a 9 patch but a little different, or in rows.